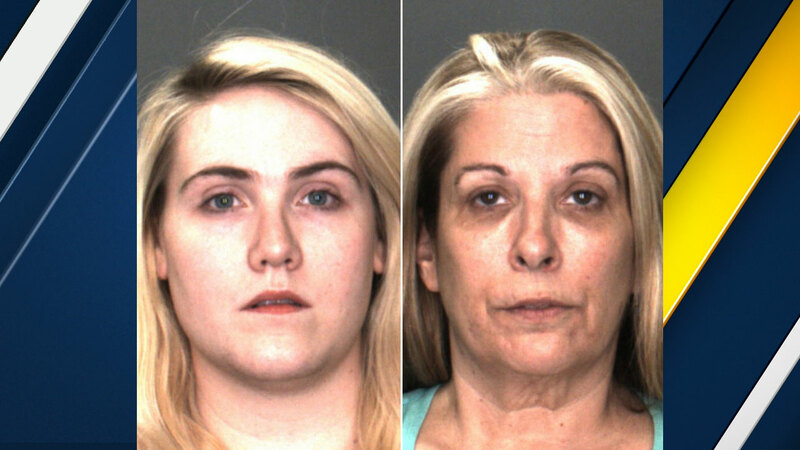 FONTANA, Calif. (WPVI) -- Fontana police arrested two day care staff members Tuesday in connection to a child who was found unresponsive at the facility in 2016 and later died. Sagan Marriott and Deborah Jimenez were both arrested in the 6700 block of Gables Crest Way around 1:20 p.m. They were booked on suspicion of child cruelty with possible death and/or injury and involuntary manslaughter. Their bail was set at $250,000. In October 2016, 18-month-old Deacon Morin was taken off life support after he was strangled by his necklace while taking a nap at the Marriott Family Childcare facility. It was one of two in-home day cares. The boy's mother, Danielle Morin, said the staff told her the amber teething necklace Deacon was wearing strangled him in his sleep. But she believed there was more information that they weren't telling her, including who performed CPR on her son. He was rushed to the hospital in critical condition, but Morin made the decision to remove her son from life support later on. Fontana police and a spokesperson for social services said they were investigating Deacon's death. Authorities then arrested Marriot, Jimenez and another staff member, Rebecca Lutz, on suspicion of child endangerment in November 2016. During the investigation, authorities discovered Marriott and Lutz found Deacon unresponsive, but did not immediately call 911. Instead, they called Jimenez, who authorities said the two women worked for. The women did not call 911 until Jimenez arrived at the facility, according to police. The Marriott facility was licensed by the state to allow no more than four infants at the place at any time, according to police. But on the day Deacon was found unresponsive, there were six infants and at least 12 other children at the facility. Authorities continued their investigation into Deacon's death following Marriott's and Jimenez's first arrests. Jimenez and Marriott are expected to appear in court Wednesday.